Armenian Apostolic Church is one of the oldest Christian churches. 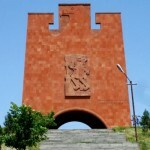 Christianity came to Armenia in the II-III centuries . 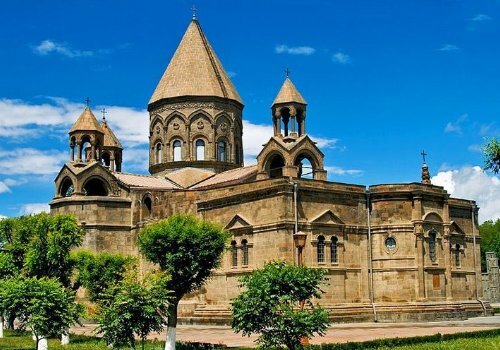 Armenia was the first country to adopt Christianity as state religion in 301 AD. The official name of the Church is the One Holy Universal Apostolic Orthodox Armenian Church. According to the legend, starting from the 1st century, the Apostles Thaddeus and Bartholomew arrived in Armenia and preached Christianity. 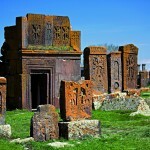 At the same time, the first Christian communities were formed in Armenia that spread in the II-III centuries. Until the year 300 A.D. Armenia was completely pagan, thus Christians were often persecuted in those days. Gregory the Illuminator (302-326) converted Armenia to Christianity. On behalf of him, the Armenian Apostolic Church is often referred to as the Armenian Gregorian Church. Armenian King Trdat III (287-330) recognizing great abilities in Gregory, raised him in stature at court. Gregory, of course, had already accepted the Christian faith and eschewed pagan ceremonies. Soon rumors of his parentage began to surface, spread by jealous nobles, which lead to his torture and imprisonment in Khor Virap (deep pit). According to the Armenian chronicler Agatangeghos, King Trdat was afflicted, it seems, with a form of violent lycanthropy (a form of mental disorder). The king’s sister had a dream in which an angel instructed her to release Gregory who, despite long years in isolation, had, by divine intervention, survived in the pit. The princess was convinced that if Gregory was brought forth from his pit, he would cure the king of his dire affliction. King Trdat accepted his sister’s advice and released the saint from the deep pit. Gregory restored the king’s health and sanity, and then baptized him with his entire household. Thus, the King, in 301 A.D., proclaimed Christianity the sole state religion, making Armenia the First Christian Nation on Earth. The legend tells that St. Gregory had a vision: Christ descends from heaven and the golden hammer indicates the place where they are to be erected the first Armenian church. 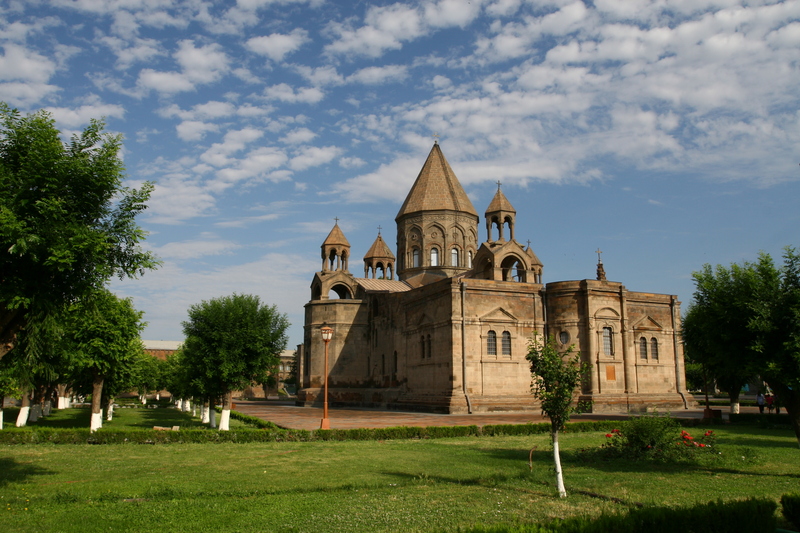 The cathedral was named Echmiatsin, which in Armenian means “the coming of the only begotten”, that is Jesus Christ. 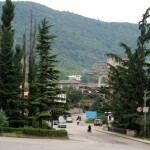 The Catholicos of All Armenians resides in Holy Echmiatsin. Historically, the Armenian Church has been referred to as monophysite by both Roman Catholic and Eastern Orthodox theologians because it rejected the decisions of the Council of Chalcedon, which condemned the belief of one incarnate nature of Christ (monophysis). The Armenian Church belongs to the Orthodox family of churches, known as the Oriental Orthodox, or Non-Chalcedonian, Churches, i.e., the Armenian, Coptic, Syrian, Ethiopian and Indian Malabar churches. Geographically, the Armenian Apostolic Church spread throughout the world, but united in their doctrinal settings. Under the influence of political and economic factors, from the IX century the Armenian population was forced to periodically leave the country and seek asylum in foreign countries. Armenian Apostolic Church consists of Two Catholicossates, Mother See of Holy Echmiatsin, Great House of Cilicia, Two Patriarchates: Constantinople and Jerusalem. The head of the Armenian Apostolic Church is the Supreme Patriarch and Catholicos of All Armenians (at present – Karekin II), whose permanent residence is in Echmiatsin. It is also called the Supreme Patriarch and Catholicos of Ararat National Throne of the Mother Church. He is the supreme spiritual head of all believers of Armenia, the keeper and defender of the faith of the Armenian Church, its liturgical rites, canons, traditions and unity. In the canonical limits, he is given full authority in the management of the Armenian Church.